The First Bank to Iyeoma plaza road in Alagbaka Akure the area is along Oba Ile, is presently locked down, courtesy of a ghastly accident that happened this morning. 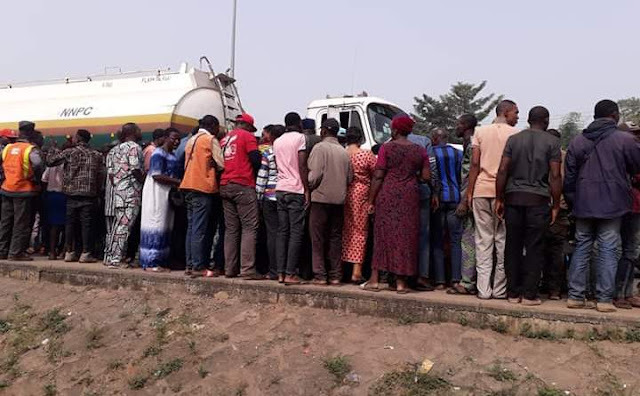 It was gathered that a Petrol tanker, due to break failure, crushed a motorcyclist, with the man and his motorcycle still trapped under the truck for hours. Report also says the truck is heavily loaded with petroleum product.